Summary: The film feels old and the second halve like a mid-series production where a baddie is wheeled out to tell audiences the end is coming soon. Yes, it’s just five years since Sam Raimi concluded his trilogy of Spider-man movies, so you might expect this reboot to go down the lines of the Christopher Nolan Batman trilogy by changing the tone and angle on this first entry from director Marc Webb. Surprisingly not. Andrew Garfield takes over from Tobey Maguire as Peter Parker with another take on the origins story with Emma Stone as high school love interest Gwen Stacy, Rhys Ifans as one-armed oegenetic scientist Dr. Curt Connors, Martin Sheen as Uncle Ben and Sally Field as Aunt May. There’s a short insight into how Parker came to be in the care with his aunt and uncle even before his parents died, then we fast forwarding to our hero as an awkward student in need of some help with bullies and getting his words out around the ladies. When Dr. Curt Connors shows up talking about combining animal species to offer powers such as regenerative limbs and Parker gets bitten by one of his lab spiders, you start scratching your head over why you’re seeing _Spider-man_ circa 2002 being rewritten without Kirsten Dunst’s Mary Jane and Willem Dafoe as the Green Goblin. This revision takes us through all the motions of Parker getting to grips with his powers and further family tragedy all-too-fresh in our memories from 10 years ago, but the sad thing is _The Amazing Spider-man_ does it so well that you’re left annoyed you can’t ignore the similarities. Garfield may be a little old to be playing teenage Parker at 29, however he strikes the right balance between geeky and aloof that doesn’t get annoying like the Maguire films. 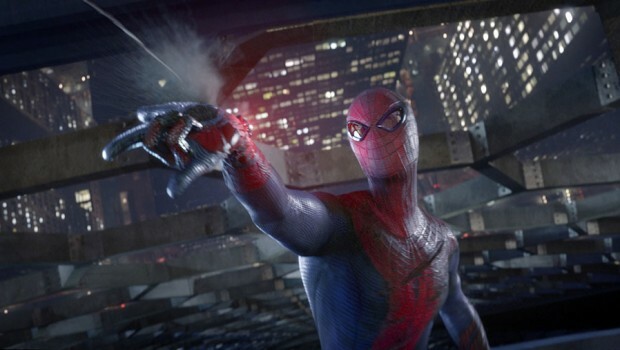 His Spider-man has far more style than Maguire too – he seems to fit the role more naturally and as Spider-man has to shoot his webbing from specially-adapted wrist devices which throws up a limitation to his spider powers. He’s also got a nice line in quickfire splats that he delivers with an attitude that work makes him an all-round more likeable – and endearing – superhero. His romance with Gwen is carefully handled and feels natural. Ifans plays the villain well and on full transformation into The Lizard enjoys satisfyingly tough fight scenes with our hero. Where _The Amazing Spider-man_ falls short is in the reboot just doesn’t do enough different to justify returning to the origins story. We’re promised the untold story and an insight into Parker’s father’s work that never materialises. While it’s all very well giving us a new look cast, the first half of the film feels old and the second halve like a mid-series production where a baddie is wheeled out to tell audiences the end is coming soon. There’s suggestions we’ll see a sequel that really delves deeper into Parker’s past, however it really should have come sooner and formed the centrepiece of this entry, rather than fast-forwarding to super powers acquired and pretty much normal service in the actions stakes. Here’s hoping the Peter/Gwen relationship will offer up more than the lame duck MaryJane of Raimi’s trilogy.